Google Archives - HexByte Inc.
Fiber-optic cable being loaded onto a ship owned by SubCom, which is working with Google to build the world’s fastest undersea data connection. Google says the fiber-optic cable it’s building across the Atlantic Ocean will be the fastest of its kind. When the cable goes live next year, the company estimates it will transmit around 250 terabits per second, fast enough to zap all the contents of the Library of Congress from Virginia to France three times every second. 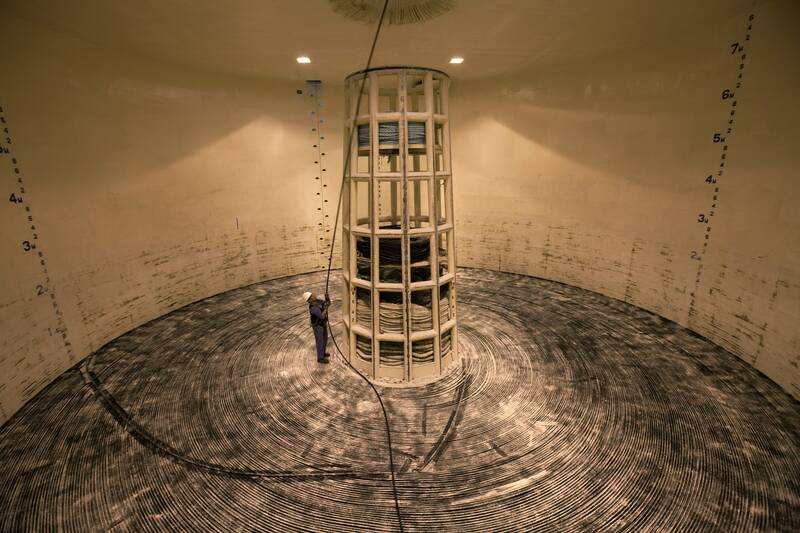 That’s about 56 percent faster than Facebook and Microsoft’s Marea cable, which can transmit about 160 terabits per second between Virginia and Spain. Fiber-optic networks work by sending light over thin strands of glass. Fiber-optic cables, which are about the diameter of a garden hose, enclose multiple pairs of these fibers. Google’s new cable is so fast because it carries more fiber pairs. Today, most long-distance undersea cables contain six or eight fiber-optic pairs. Google said Friday that its new cable, dubbed Dunant, is expected to be the first to include 12 pairs, thanks to new technology developed by Google and SubCom, which designs, manufactures, and deploys undersea cables. Dunant might not be the fastest for long: Japanese tech giant NEC says it has technology that will enable long-distance undersea cables with 16 fiber-optic pairs. And Vijay Vusirikala, head of network architecture and optical engineering at Google, says the company is already contemplating 24-pair cables. So much capacity is being added that, for the moment, it’s outstripping demand. Animations featured in a recent New York Times article illustrated the exploding number of undersea cables since 1989. That growth is continuing. Alan Mauldin of the research firm Telegeography says only about 30 percent of the potential capacity of major undersea cable routes is currently in use—and more than 60 new cables are planned to enter service by 2021. That summons memories of the 1990s Dotcom Bubble, when telecoms buried far more fiber in both the ground and the ocean than they would need for years to come. A selection of fiber-optic cable products made by SubCom. But the current growth in new cables is driven less by telcos and more by companies like Google, Facebook, and Microsoft that crave ever more bandwidth for the streaming video, photos, and other data scuttling between their global data centers. And experts say that as undersea cable technologies improve, it’s not crazy for companies to build newer, faster routes between continents, even with so much fiber already laying idle in the ocean. Mauldin says that although there’s still lots of capacity available, companies like Google and Facebook prefer to have dedicated capacity for their own use. That’s part of why big tech companies have either invested in new cables through consortia or, in some cases, built their own cables. Another factor is diversification. Having more cables means there are alternate routes for data if a cable breaks or malfunctions. At the same time, more people outside Europe and North America are tapping the internet, often through smartphones. That’s prompted companies to think about new routes, like between North and South America, or between Europe and Africa, says Mike Hollands, an executive at European data center company Interxion. The Marea cable ticks both of those boxes, giving Facebook and Microsoft faster routes to North Africa and the Middle East, while also creating an alternate path to Europe in case one or more of the traditional routes were disrupted by something like an earthquake. There are financial incentives for the tech companies as well. By owning the cables instead of leasing them from telcos, Google and other tech giants can potentially save money in the long term, Mauldin says. The cost to build and deploy a new undersea cable isn’t dropping. But as companies find ways to pump more data through these cables more quickly, their value increases. There are a few ways to increase the performance of a fiber-optic communications system. One is to increase the energy used to push the data from one end to the other. The catch is that to keep the data signal from degrading, undersea cables need repeaters roughly every 100 kilometers, Vusirikala explains. Those repeaters amplify not just the signal, but any noise introduced along the way, diminishing the value of boosting the energy. A rendering of one of SubCom’s specialized Reliance-class cable ships. You can also increase the amount of data that each fiber pair within a fiber-optic cable can carry. A technique called “dense wavelength division multiplexing” now enables more than 100 wavelengths to be sent along a single fiber pair. Or you can pack more fiber pairs into a cable. Traditionally each pair in a fiber-optic cable required two repeater components called “pumps.” The pumps take up space inside the repeater casing, so adding more pumps would require changes to the way undersea cable systems are built, deployed, and maintained, says SubCom CTO Georg Mohs. To get around that problem, SubCom and others are using a technique called space-division multiplexing (SDM) to allow four repeater pumps to power four fiber pairs. That will reduce the capacity of each pair, but cutting the required number of pumps in half allows them to add additional pairs that more than makes up for it, Mohs says. “This had been in our toolkit before,” Mohs says, but like other companies, SubCom has been more focused on adding more wavelengths per fiber pair. The result: Cables that can move more data than ever before. That means the total cost per bit of data sent across the cable is lower. Corrected, 4-5-19, 3:50pm ET: An earlier version of this story misstated the technology that allowed Google and SubCom to add more fiber pairs to a cable. 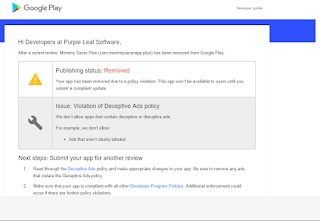 I got an email from Google saying they removed Mommy Saver Plus (the paid version of Mommy Saver) for “deceptive ads”. This is strange because Mommy Saver Plus has no ads. Hopefully this will just get fixed and go away in the next couple days and I’ll have a good laugh about it later. 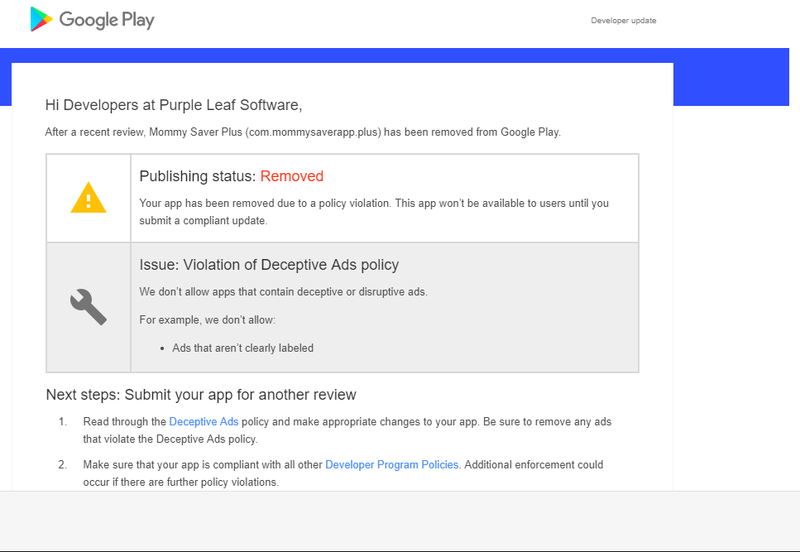 To Google’s credit, the email says I can “remove any ads that violate the Deceptive Ads policy” and re-submit the app. They apparently also have an appeals process (I’ve already submitted the appeal 2019-03-25). I’m not familiar with Google’s ad policies, but it’s a little strange that they would remove this app anyway. I’m also a little worried because I’ve read on HN horror stories about Google doing things like this or worse. I’m nervous about re-submitting until I see the result of the appeal. Mommy Saver Plus doesn’t make much money, but I want to publish a new app in a few months and don’t want to have problems with that. And I definitely don’t want problems with my Google account. If anyone knows anything useful, I’d appreciate it. 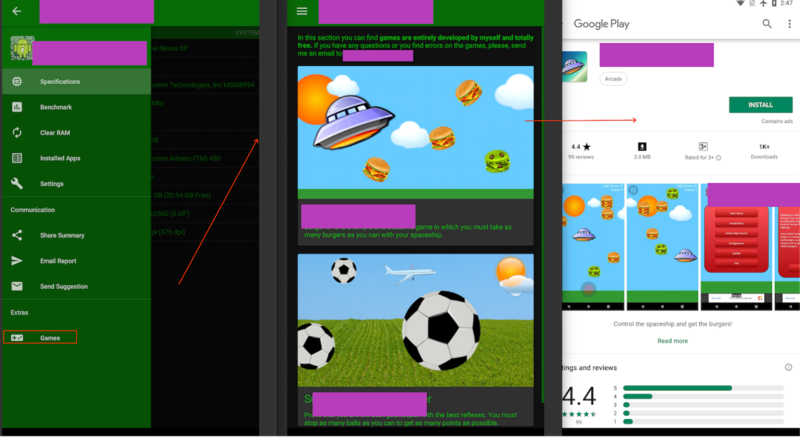 Googling for “play store removed mistake” doesn’t yield much useful results. Google allies came to the company’s defense in the weeks surrounding CEO Sundar Pichai’s testimony to Congress in December. A few days after last year’s midterm election, a Google policy manager and lobbyist sent an email to a congressional staffer with a link to a blog post on the right-wing news site Red State, written under the name The Real DC. In the post, the author accuses Google’s competitor Yelp of prodding President Trump to tweet a “professionally designed” video about Google’s alleged bias, which The Real DC calls “fake news” because it “bears many similarities” to content produced by Yelp. In the email, a copy of which was viewed by WIRED, Ed An, the Google lobbyist, said he does not typically share articles from Red State but thought the staffer would find this one interesting. Neither Red State, its publisher Townhall Media, nor its owner Salem Media Group responded to repeated questions about The Real DC. In a statement, An, the Google lobbyist, said he has no knowledge “of the author who goes by The Real DC.” Yelp vice president of public policy Luther Lowe denied any connection to the video or tweet. CLS declined to comment. CCIA president Ed Black said, “A good look at our website and history will show our strong independent streak amid a diverse membership.” CCIA’s relationship with CLS ended in August 2017. A spokesperson for Google said the company would never ask someone to write an anonymous piece. “We are transparent about our policy work—we disclose all significant affiliations and grants on our transparency page and we require all people whose work or research we fund to disclose that fact,” the spokesperson said in a statement. Still, the email offers insight into how Google, a shrewd Washington player, has shifted into overdrive and adapted its approach as calls to regulate Big Tech have grown louder. In the latest sign of the more hostile environment for tech, Democratic presidential candidate Elizabeth Warren last week issued a far-reaching plan to break up dominant tech platforms; she suggested Google be required to unwind its acquisitions of Waze, Nest, and DoubleClick. Rebukes from the right are just as vehement. During a congressional hearing on monopolies last week, Senator Josh Hawley (R-Missouri) lit into tech companies. “When they spy on their consumers, when they take data without disclosing it, when they use it for things that consumers have not approved, I mean every day brings some creepy new revelation about these companies’ behaviors,” he said. At the hearing, Hawley, who launched an investigation into Google while he was Missouri attorney general, also challenged Joshua Wright, a former Trump adviser and professor at George Mason University, who wrote academic research funded indirectly by Google and criticized a Federal Trade Commission probe into Google before joining the agency as a commissioner from 2013 to 2015. “As someone who comes from the conservative or libertarian side of the street, should we be concerned” about cronyism from large companies, Hawley asked. On Tuesday, Hawley cosponsored a bill to prevent tech companies from collecting data on children. Wright says his views have “attracted like-minded supporters” as the antitrust debate intensifies. Google is very active in shaping public policy. Last year, the company reported spending $21 million on federal lobbying, more than any other company in America. Google was also the highest-spending corporate lobbyist in 2017. Over the past year or so, the network of academics, think tanks, trade organizations, and advocacy groups funded by Google has repeatedly come to its defense at key moments, such as after Warren’s broadside, the days after the midterm elections, and the weeks surrounding Google CEO Sundar Pichai’s December appearance before Congress. When Trump took office in January 2017, Google listed 141 organizations that receive funding from the company’s public policy division. Since then the number has more than doubled, to 349. Op-eds by antitrust and privacy experts sympathetic to Google’s views have appeared on right-wing and cable news sites. In the editorials, the authors frame populist fervor to regulate Big Tech as the work of unserious “hipster antitrust” activists who don’t understand the law, and argue that consumers are better off with the status quo. Scholars and experts may hold these positions independent of financial incentives from tech companies like Google, but both regulators and the public are sometimes left in the dark about potential conflicts of interest. Larry Downes, project director at the Georgetown Center for Business and Public Policy, coauthored an op-ed in The Washington Post in January about the tech backlash “going askew.” Google’s donation to the Georgetown Center was not noted on its transparency page until about 10 days later, according to records from Archive.org. A Google spokesperson said the company updates its page twice a year. Downes did not respond to a request for comment. Georgetown said as a private university it does not disclose donor information. Warren’s post last week brought out some of Google’s reliable defenders, like Geoffrey Manne, head of the International Center for Law & Economics, a nonprofit research group that receives money from Google; Wright was previously director of research there, and coauthored some papers with Manne. Manne’s conflicts of interest have previously attracted attention, including New York Times articles in 2015 and 2016 that mentioned funding the center received from Comcast during the net neutrality debate. A rebuttal to Warren, coauthored by Manne, argued that Google might stop investing in improving its products if it is regulated. He said a decline in business dynamism, cited by Warren, could be because entrepreneurs want to sell their startups to big companies, contradicting founders who say they would rather become the next Mark Zuckerberg than sell to him. Manne’s piece was shared approvingly on Twitter by the executive vice president of the Cato Institute and the VP of policy at the Niskanen Center—both of which receive funding from Google—as well as by a senior research fellow at the Koch Institute (a recent Google ally on antitrust) and assorted venture capitalists, and was eventually published by CNBC. Manne did not respond to a request for comment. Google began stepping up its Washington game around 2011, as the FTC investigated whether the company was improperly exploiting its dominance in search. The Wall Street Journal reported that FTC staffers found that Google engaged in anticompetitive behavior that harmed rivals and users, but in 2013 the commission decided not to bring charges against Google, which made some voluntary changes. Around this time, Google began courting conservatives to mitigate concerns over its close ties to the Obama administration. The company has also excelled in less formal efforts to influence conversation, through donations to academics, think tanks, trade organizations, and advocacy groups, on both the left and the right, that steer debate toward policy positions that benefit Google in conferences, congressional hearings, and editorials that often do not disclose a speaker’s financial ties to Google. A person familiar with Google’s strategy for influencing public debate says the company generally doesn’t seek to change experts’ thinking but, rather, to underwrite their time and encourage them to be more vocal on issues important to Google. Google may pre-vet op-eds and ask that certain statements be made stronger or weaker, which seems small but ends up having a big impact, the person said. Google did not respond to a request for comment on reviewing op-eds. “Google is much savvier at this game than Comcast or AT&T in that it doesn’t pay for strict quid pro quos. Its strategy relies on social capture,” one congressional staffer told WIRED. Google finds an organization that seems to share Google’s values and then donates money without a specific ask, the staffer said. But Google’s tactics backfired last year, when its employees revolted against the company’s sponsorship of the Conservative Political Action Conference, attended by white nationalists and members of the anti-LGBT movement, and where speakers included French nationalist politician Marine Le Pen. Google did not sponsor this year’s conference, held in late February and early March. But Google was still there, indirectly. The company funds at least eight think tanks and nonprofits whose officials spoke or who sponsored events at CPAC, including Americans for Tax Reform, the Heritage Foundation, National Review Institute, and the Federalist Society. Google has been funding the American Conservative Union, the organization behind CPAC, since 2012. Google’s influence is extensive. During a February hearing on protecting consumer privacy in front of a subcommittee of the House Energy and Commerce Committee, three of the five speakers represented groups that receive money from Google: American Enterprise Institute, Center for Democracy & Technology, and the Interactive Advertising Bureau. A fourth represented the Business Roundtable. Experts who defend tech companies in Washington generally say they are not influenced by Google’s donations. Matt Stoller, of the Open Markets Institute, a left-leaning think tank that favors tough antitrust enforcement, finds that curious. “It’s funny that economists think that incentives work on everybody but economists,” Stoller says. Google adjusted the pay of 10,677 employees by $9.7 million after an analysis found unexpected disparities. At the end of every year, Google conducts a pay equity analysis to determine whether employees of different sexes and races who are doing similar jobs are being paid equally. On Monday, Google published a blog post with selected findings from its 2018 analysis, highlighting that proposed changes for 2019 would have paid male engineers less than female engineers in one lower-level job category, referred to internally as Level 4 engineers. Since Google’s analysis caught the discrepancy before changes were implemented, the Level 4 male engineers were not paid less than women. The company’s annual analysis only compares employees in the same job category, so the results do not reflect race or gender differences in hiring and promotion. At Google, employees are paid in salary, equity, and bonuses. Compensation is determined by an employee’s position, performance, and location. But managers also have access to a pool of discretionary funds, which they can allocate to individual employees. After the recent analysis identified the gender difference in compensation among Level 4 engineers, a deeper company analysis found the discrepancy stemmed from managers planning to allocate more discretionary funds to women than men in 2019. Google has publicly shared its annual analysis before. In its 2017 analysis, the company found statistically significant pay difference for 228 employees in six job categories, including men and women in several counties, and “Black and Latinx/Hispanic Googlers in the U.S. across functions.” But the company has never disclosed this level of detail on gender. Google said it shared the male pay gap in this instance because the results were counterintuitive. But the analysis arrives as Google faces an investigation by the US Department of Labor and a lawsuit by current and former female employees, both of which allege that Google discriminates systematically against women in pay and promotion. Kelly Ellis, a former Google software engineer and plaintiff in the lawsuit, claims she was hired in at Level 3, the category for recent college grads, despite having four years of professional experience. The lawsuit alleges that weeks after Ellis joined the company, Google hired a male engineer with the same experience at Level 4, which translated into a higher salary and potential access to bigger bonuses and more stock. Google said it’s now analyzing whether women are being hired into lower levels than men with comparable backgrounds. “Our first step is a leveling equity analysis to assess how employees are leveled when they are hired, and whether we can improve how we level,” the company wrote. Google considers prior experience in assigning new hires to a level, but the annual analysis only compares employees by their assigned level. Google also analyzed pay equity by race for US-based employees, but the company said it could not release the data because it has not released demographic data on race before. Google’s selective disclosures lacked much context. For instance, Google’s blog post highlighted the fact that it made $9.7 million in adjustments to a total of 10,677 Googlers to make compensation more equal in 2019. That’s about $900 per employee, at a company where the median employee made $197,274 in 2017. The number of adjustments rose dramatically from last year, when the analysis of 2017 data prompted Google to adjust pay for only 228 employees. Google said the number was higher this year because Level 4 is a broad category that includes a lot of engineers and because Google included new hires in its analysis for the first time in 2018. In the blog post, Google notes that 49 percent of the total dollars allocated for adjustments went toward new hires. However, Google would not disclose the gender or race gap in the new hire category beyond saying that they did not see the same gap favoring women. Google employees have carried out their own investigation into the company’s plan to launch a censored search engine for China and say they are concerned that development of the project remains ongoing, The Intercept can reveal. Late last year, bosses moved engineers away from working on the controversial project, known as Dragonfly, and said that there were no current plans to launch it. However, a group of employees at the company was unsatisfied with the lack of information from leadership on the issue — and took matters into their own hands. The group has identified ongoing work on a batch of code that is associated with the China search engine, according to three Google sources. The development has stoked anger inside Google offices, where many of the company’s 88,000 workforce previously protested against plans to launch the search engine, which was designed to censor broad categories of information associated with human rights, democracy, religion, and peaceful protest. In December, The Intercept reported that an internal dispute and political pressure on Google had stopped development of Dragonfly. Google bosses had originally planned to launch it between January and April of this year. But they changed course after the outcry over the plan and indicated to employees who were working on the project that it was being shelved. Over the past few quarters, we have tackled different aspects of what search would look like in China. While we’ve made progress in our understanding of the market and user needs, many unknowns remain and currently we have no plans to launch. Back in July we said at our all hands that we did not feel we could make much progress right now. Since then, many people have effectively rolled off the project while others have been working on adjacent areas such as improving our Chinese language capabilities that also benefit users globally. Thank you for all of your hard work here. As we finalize business planning for 2019, our priority is for you to be productive and have clear objectives, so we have started to align cost centers to better reflect what people are actually working on. Thanks again — and your leads will follow up with you on next steps. Sources with knowledge of Dragonfly said staff who were working on the project were not told to immediately cease their efforts. Rather, they were instructed to finish up the jobs they were doing and then they would be allocated new work on other teams. 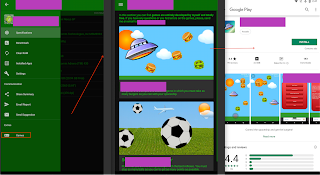 Some of those who were working on Dragonfly were moved into different areas, focusing on projects related to Google’s search services in India, Indonesia, Russia, the Middle East, and Brazil. 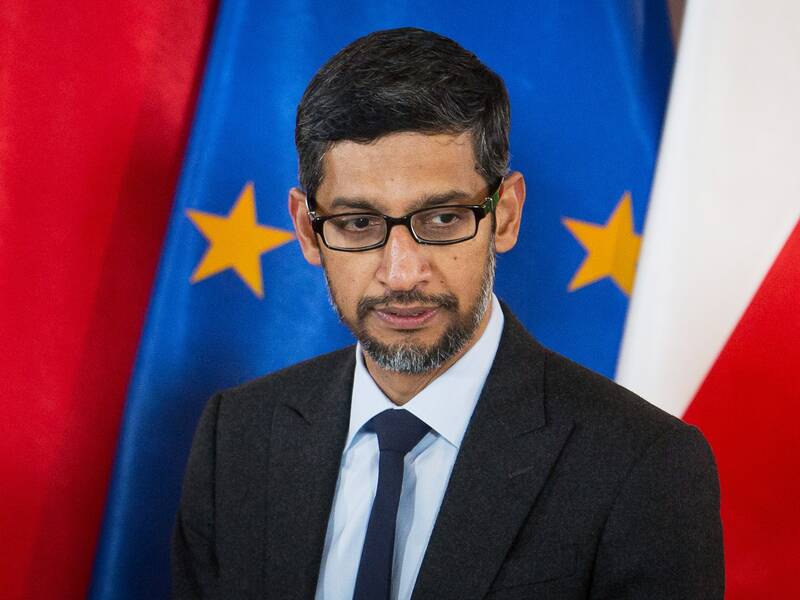 But Google executives, including CEO Sundar Pichai, refused both publicly and privately to completely rule out launching the censored search engine in the future. This led a group of concerned employees — who were themselves not directly involved with Dragonfly — to closely monitor the company’s internal systems for information about the project and circulate their findings on an internal messaging list. The employees have been keeping tabs on repositories of code that are stored on Google’s computers, which they say is linked to Dragonfly. The code was created for two smartphone search apps — named Maotai and Longfei — that Google planned to roll out in China for users of Android and iOS mobile devices. The employees identified about 500 changes to the code in December, and more than 400 changes to the code between January and February of this year, which they believe indicates continued development of aspects of Dragonfly. (Since August 2017, the number of code changes has varied between about 150 to 500 each month, one source said.) The employees say there are still some 100 workers allocated to the “cost center” associated with Dragonfly, meaning that the company is maintaining a budget for potential ongoing work on the plan. Google sources with knowledge of Dragonfly said that the code changes could possibly be attributed to employees who have continued this year to wrap up aspects of the work they were doing to develop the Chinese search platform. “I still believe the project is dead, but we’re still waiting for a declaration from Google that censorship is unacceptable and that they will not collaborate with governments in the oppression of their people,” said one source familiar with Dragonfly. The lack of clarity from management has resulted in Google losing skilled engineers and developers. In recent months, several Google employees have resigned in part due to Dragonfly and leadership’s handling of the project. The Intercept knows of six staff at the company, including two in senior positions, who have quit since December, and three others who are planning to follow them out the door. Colin McMillen, who worked as a software engineer at Google for nine years, quit the company in early February. He told The Intercept that he had been concerned about Dragonfly and other “ethically dubious” decisions, such as Google’s multimillion-dollar severance packages for executives accused of sexual harassment. Prior to leaving the company, McMillen said he and his colleagues had “strong indications that something is still happening” with Google search in China. But they were left confused about the status of the China plan because upper management would not discuss it. Pichai, Google’s CEO since 2015, has taken a different position. He has a strong desire to launch search again in China — viewing the censorship as a worthwhile trade-off to gain access to the country’s more than 800 million internet users — and he may now be waiting for the controversy around Dragonfly to die down before quietly resurrecting the plan. Data breaches that compromise people’s usernames and passwords have become so common, and used in crime for so long, that millions of stolen credential pairs have actually become practically worthless to criminals, circulating online for free. And that doesn’t even begin to scratch the surface of the more current credentials sold on the black market. All of this means that it’s increasingly difficult to keep track of which of your passwords you need to change. So Google has devised a Chrome extension to watch your back. On Tuesday, the company is announcing “Password Checkup,” which runs in Chrome all the time as you go about your daily web browsing, and checks passwords you enter on all sites against a database of known compromised passwords. Password Checkup isn’t a password manager, a gauge of how weak or strong your passwords are, or a source of advice. It just sits quietly until it detects a credential pair that is known to be exposed, and then it shows a warning. That’s it. 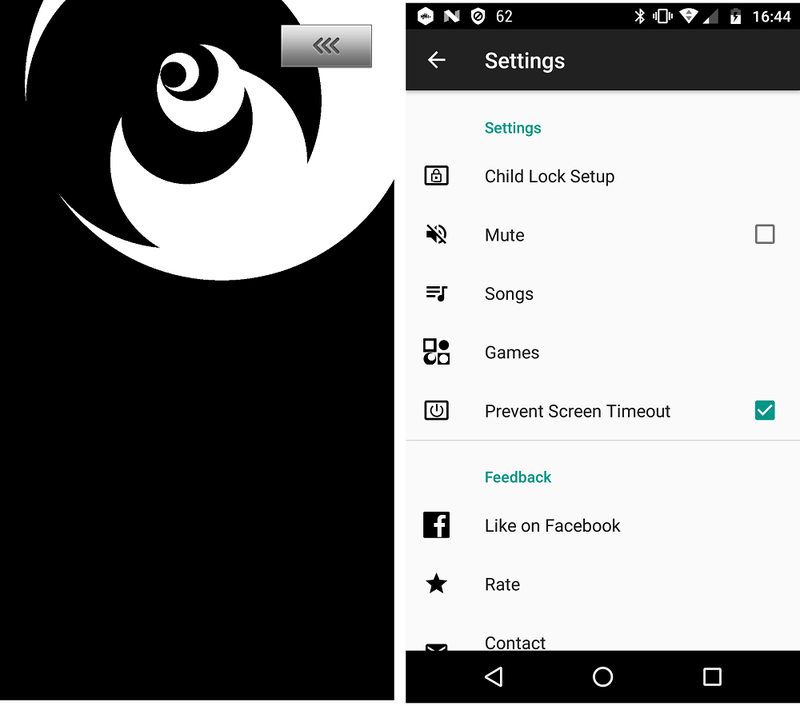 The tool is unobtrusive by design, so you’ll actually pay attention to it when it notices genuine risks. If you’ve been feeling overwhelmed by all the news of data breaches and cybercrime over the past few years, Password Checkup is meant as an easy way to take back some control. Google accounts tend to be particularly sensitive, because they are often the key to a person’s email address. So the company has already been grappling with notifying users when their Google credentials are compromised—not because Google was hacked but because people reuse passwords on multiple sites. Google relies on a database of compromised credentials that totals about four billion unique usernames and passwords, gathered from troves its security teams access online as they go about their larger threat detection research for the company. Google says it hasn’t ever bought stolen credentials, and that it doesn’t currently collaborate with other security-minded aggregators like Have I Been Pwned, a service maintained by the security researcher Troy Hunt. The company does accept donations of stolen credentials from researchers, though. The company has already uses that stash to force Google users to abandon exposed passwords. And other Google divisions, like Nest, are working on features to prevent exposed password reuse, because of problems with account takeovers. Google’s database is always growing, but appears to have some holes. When I tested Password Checkup with a login that I know has been compromised in breaches (so I have one account I haven’t updated yet, what are you gonna do) it didn’t flag it. Bursztein and Kurt Thomas, a Google security and anti-abuse research scientist note that they’ve skewed toward zero false positives so they aren’t accidentally giving users warnings based on similar, but slightly different passwords or the same password that was compromised for a different person, but not you. And they emphasize that while the company is releasing Password Checkup as a regular Chrome extension for people to start using, it’s still an experiment and isn’t necessarily finalized. The researchers are anticipating controversy—or “a conversation” as they often call it— about a crucial question that you may have by now, too: If Password Checkup is running quietly on Chrome all the time with the express goal of monitoring your login credentials, isn’t Google going to end up with a terrifying trove of all your passwords? And if so, couldn’t attackers find a way to compromise Password Checkup to grab tons of current credentials, track you, or infiltrate Google’s database of stolen data? It wouldn’t be feasible on multiple levels for Google to check the credentials without any data leaving the user’s device at all. Instead, the company collaborated with cryptographers at Stanford University to devise layers of encryption and hashing—protective data scrambling—that combine to protect the data as it traverses the internet. First of all, the entire database is scrambled with a hashing function called Argon 2, a robust, well-regarded scheme, as a deterrent against an attacker compromising the database or attempting to pull credentials out of the Chrome extension. To index into your subset of the database, your device signs your encrypted username and password with a key only it knows and sends it to Google. Next the company signs it with its own secret key, then sends it back to your device, which decrypts it with its key. After this handshake is complete, the data is finally in the right state of encryption and hashing to do a compatible local lookup on your device against the portion of the database you’ve downloaded. The idea is that everything is encrypted all the time to make the data as indecipherable and useless to a potential attacker—or Google itself—as possible at every phase. Google plans to release an academic paper about the tool with Stanford researchers that details its underlying protocols and cryptographic principles for public vetting. When asked about the idea of a browser extension that attempts to monitor passwords in a cryptographically secure and private way, Johns Hopkins cryptographer Matthew Green said, “It’s possible. It could be done securely, I think. I think. But details matter.” Green notes that such a scheme would need to be executed essentially perfectly and would have a number of crucial areas where it could fall short. “If a lot of people will be using it—it’s a little scary, frankly,” he says. And in general, you should only install browser extensions from companies you trust. With such a desperate need for easily understandable breach information and advice, a lot of people very easily could start using Password Checkup quickly. So it will be incumbent upon Google to actually continue improving the extension’s security based on community feedback—both from users and cryptographers. Despite an 18-point drop in confidence in Google leadership, employees generally praised CEO Sundar Pichai’s response to a 2016 memo outlining potential cuts in compensation. Google is a data-obsessed company, but the recent cascade of employee activism can be hard to quantify. How do you take the temperature of a 90,000-person workforce? In November, employees gave Google’s senior leadership an undeniable signal when 20,000 workers walked out of their offices to protest sexual harassment policies. The results of Google’s latest annual survey on employee satisfaction, which were shared internally in January, offer another sign. 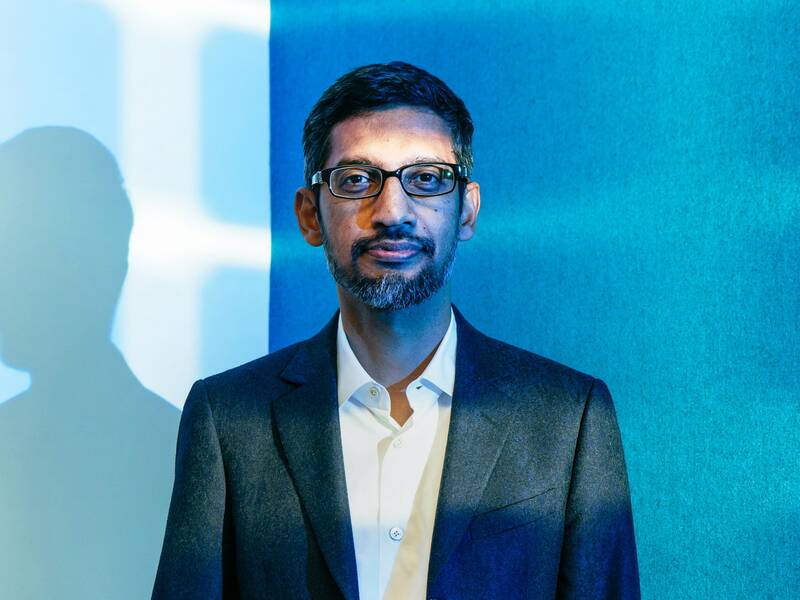 Asked whether they have confidence in CEO Sundar Pichai and his management team to “effectively lead in the future,” 74 percent of employees responded “positive,” as opposed to “neutral” or “negative,” in late 2018, down from 92 percent “positive” the year before. The 18-point drop left employee confidence at its lowest point in at least six years. 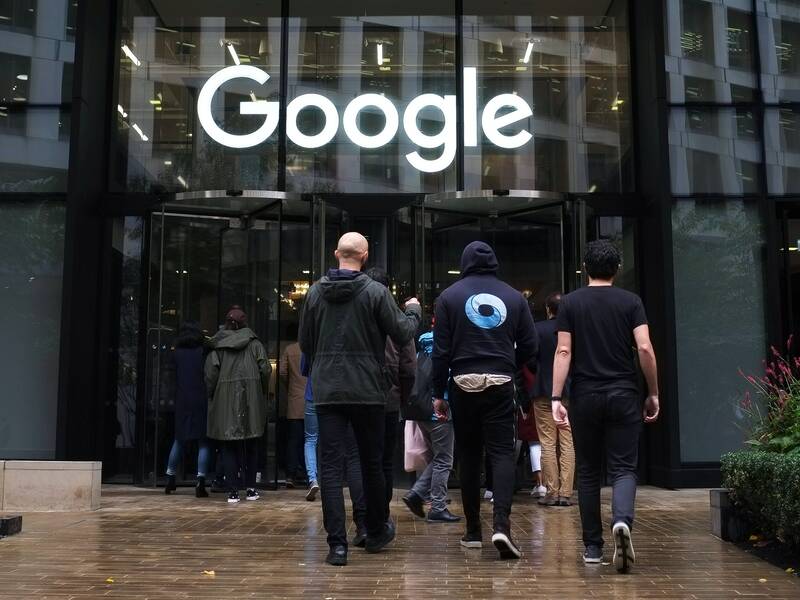 The results of the survey, known internally as Googlegeist, also showed a decline in employees’ satisfaction with their compensation, with 54 percent saying they were satisfied, compared with 64 percent the prior year. The drop in employee sentiment helps explain why internal debate around compensation, pay equity, and trust in executives has heated up in recent weeks—and why an HR presentation from 2016 went viral inside the company three years later. The presentation, first reported by Bloomberg and reviewed by WIRED, dates from July 2016, about a year after Google started an internal effort to curb spending. In the slide deck, Google’s human-resources department presents potential ways to cut the company’s $20 billion compensation budget. Ideas include: promoting fewer people, hiring proportionately more low-level employees, and conducting an audit to make sure Google is paying benefits “(only) for the right people.” In some cases, HR suggested ways to implement changes while drawing little attention, or tips on how to sell the changes to Google employees. Some of the suggestions were implemented, like eliminating the annual employee holiday gift; most were not. Another, more radical proposal floated inside the company around the same time didn’t appear in the deck. That suggested converting some full-time employees to contractors to save money. A person familiar with the situation said this proposal was not implemented. In July, Bloomberg reported that, for the first time, more than 50 percent of Google’s workforce were temps, contractors, and vendors. The slide deck also includes suggestions for how Google might reinvest some of the savings from these cost cuts, including creating a stand-alone university building in the Bay Area called Google University, hiring more women and minorities, and giving new parents globally 16 weeks parental leave. The 2016 presentation, which began circulating inside Google in mid-January, might not have made such an impact with workers if not for executive comments at a company-wide meeting a few days earlier that some employees considered tone-deaf. The meeting was to discuss the Googlegeist results, where managers attempted to put a positive spin on the decline in confidence. Prasad Setty, Google’s vice president of people operations, told the room that dissatisfaction around compensation came from employees who didn’t get promoted and don’t understand how compensation at Google works, according to people familiar with the matter. The meeting sparked angry commentary about executives on Google’s internal message board for memes, according to employees. Some workers found management’s approach patronizing. One Google employee was frustrated with management’s evasiveness, but wondered if the employee backlash stemmed from the fact that executives were trying to explain individual compensation practices, when activist employees wanted answers to demands for pay equity for contractors, women, and others, first raised during the November walkout. At another company-wide meeting a few days later to discuss compensation, Pichai and Setty sought to apologize for the memo and take a more candid approach with employees. Pichai said the document had never crossed his desk and that, if it had, he would have rejected the suggestion about promotions. Following the meeting, employees thanked Pichai for appearing and praised his candor on the internal meme message board. Google is consistently ranked as the best place to work in America. Median pay is $197,000, according to the most recent SEC filings; among the tech giants, only Facebook has a higher median pay. But recent media reports have given employees more information about how Google’s vast resources are allocated. A gender bias lawsuit filed in 2017 claims Google assigned new female hires to lower levels and denied them promotions.The November walkout was prompted by a New York Times report that Android founder Andy Rubin received a $90 million exit package, even after a sexual harassment complaint the company found credible. The disclosure about contractors also rankled. Popular perception, even within Google, is that contractors are hired for service or nontechnical roles. But inside Alphabet, Google’s parent company, contractors work as engineers, recruiters, and even manage teams, Bloomberg reported. Anna, a contractor in Mountain View who requested to use only her first name, told WIRED that she doesn’t fit the image Google would like to project. She acts as a liaison between Google and outside vendors and says she is “paid really well.” Still, she does not have access to health care benefits or time off and she can’t attend parties for launches that she helped prepare. Perry, who conducted user research for Google in Seattle until his contract ended last week, said that managers may not know how much money contract workers are taking home. Some of Google’s well-paid staffers, including organizers of the Google walkout, have been trying to draw more attention to practices they find exploitative, especially for a company that posted $21.8 billion in profit in the first nine months of last year. Their concerns echo the larger political movement around inequality, which has focused on tech titans and how their business practices have concentrated wealth in the hands of a few, even within their own companies. The secrecy around compensation at Google has been a flashpoint before. In 2015, Erica Joy Baker, then an engineer at Google, started a spreadsheet for employees to share their salaries, as a way to combat the “chilling effect” that comes from discouraging employees to talk about their pay. Since the latest survey results were announced, employees have been adding their salaries to Baker’s spreadsheet, which is still active; meanwhile, contractors have been sharing their benefits and pay to compare agency practices. Despite the overall good reviews, Pichai disappointed some employees with his answers on contractors. Asked why Google has contractors struggling to live in the Bay Area while he himself makes hundreds of millions, Pichai said it was a cost of living issue beyond Google’s control. In September, members of Google’s Chrome security team put forth a radical proposal: Kill off URLs as we know them. The researchers aren’t actually advocating a change to the web’s underlying infrastructure. They do, though, want to rework how browsers convey what website you’re looking at, so that you don’t have to contend with increasingly long and unintelligible URLs—and the fraud that has sprung up around them. In a talk at the Bay Area Enigma security conference on Tuesday, Chrome usable security lead Emily Stark is wading into the controversy, detailing Google’s first steps toward more robust website identity. Stark emphasizes that Google isn’t trying to induce chaos by eliminating URLs. Rather, it wants to make it harder for hackers to capitalize on user confusion about the identity of a website. Currently, the endless haze of complicated URLs gives attackers cover for effective scams. They can create a malicious link that seems to lead to a legitimate site, but actually automatically redirects victims to a phishing page. Or they can design malicious pages with URLs that look similar to real ones, hoping victims won’t notice that they’re on G00gle rather than Google. With so many URL shenanigans to combat, the Chrome team is already at work on two projects aimed at bringing users some clarity. The Chrome team’s efforts so far focus on figuring out how to detect and warn users about URLs that seem to deviate in some way from standard practice. The foundation for this is an open source tool called TrickURI, launching in step with Stark’s conference talk, that collects both legitimate and sneaky URL samples to train machine learning algorithms about potentially phishy sites. The goal is to give developers—particularly browser developers—something to test against if they want to start adding suspicious URL detection and warning mechanisms into their software. Building on that foundation, Stark and her colleagues are also working to create warnings for Chrome users, and testing them with TrickURI. For Google users, the first line of defense against phishing and other online scams is still the company’s Safe Browsing platform. But the Chrome team is exploring complements to Safe Browsing that specifically focus on flagging sketchy URLs. Google says it hasn’t started rolling out the warnings to the general user population while the Chrome team refines those detection capabilities. And while URLs may not be going anywhere anytime soon, Stark emphasizes that there is more in the works on how to get users to focus on important parts of URLs and to refine how Chrome presents them. The big challenge is showing people the parts of URLs that are relevant to their security and online decision-making, while somehow filtering out all the extra components that make URLs hard to read. Browsers also sometimes need to help users with the opposite problem, by expanding shortened or truncated URLs. The Chrome security team has taken on internet-wide security issues before, developing fixes for them in Chrome and then throwing Google’s weight around to motivate everyone to adopt the practice. The strategy was particularly successful over the last five years in stimulating a movement toward universal adoption of HTTPS web encryption. But critics of the approach fear the drawbacks of Chrome’s power and ubiquity. The same influence that has been used for positive change could be misdirected or abused. And with something as foundational as URLs, critics fear that the Chrome team could land on website identity display tactics that are good for Chrome, but don’t actually benefit the rest of the web. Even seemingly minor changes to Chrome’s privacy and security posture can have major impacts on the web community. If it all sounds like a lot of confusing and frustrating work, that’s exactly the point. The next question will be how the Chrome team’s new ideas perform in practice, and whether they really wind up making you safer on the web. For anyone that’s been doing SEO for a while, Google advanced search operators—i.e., special commands that make regular ol’ searches seem laughably basic in comparison—are nothing new. Here’s a Google search operator you may be familiar with. the “site:” operator restricts results to only those from a specified site. It’s easy to remember most search operators. They’re short commands that stick in the mind. But knowing how to use them effectively is an altogether different story. Most SEOs know the basics, but few have truly mastered them. But first, here’s a complete list of all Google search operators and their functionality. Did you know that Google is constantly killing useful operators? That’s why most existing lists of Google search operators are outdated and inaccurate. For this post, I personally tested EVERY search operator I could find. Here is a complete list of all working, non‐working, and “hit and miss” Google advanced search operators as of 2018. Force an exact‐match search. Use this to refine results for ambiguous searches, or to exclude synonyms when searching for single words. Search for X and Y. This will return only results related to both X and Y. Note: It doesn’t really make much difference for regular searches, as Google defaults to “AND” anyway. But it’s very useful when paired with other operators. Exclude a term or phrase. In our example, any pages returned will be related to jobs but not Apple (the company). Acts as a wildcard and will match any word or phrase. Group multiple terms or search operators to control how the search is executed. A dictionary built into Google, basically. This will display the meaning of a word in a card‐like result in the SERPs. Returns the most recent cached version of a web page (providing the page is indexed, of course). Restrict results to those of a certain filetype. E.g., PDF, DOCX, TXT, PPT, etc. Note: The “ext:” operator can also be used—the results are identical. Limit results to those from a specific website. Find sites related to a given domain. Find pages with a certain word (or words) in the title. In our example, any results containing the word “apple” in the title tag will be returned. Similar to “intitle,” but only results containing all of the specified words in the title tag will be returned. Find pages with a certain word (or words) in the URL. For this example, any results containing the word “apple” in the URL will be returned. Similar to “inurl,” but only results containing all of the specified words in the URL will be returned. Find pages containing a certain word (or words) somewhere in the content. For this example, any results containing the word “apple” in the page content will be returned. Similar to “intext,” but only results containing all of the specified words somewhere on the page will be returned. Proximity search. Find pages containing two words or phrases within X words of each other. For this example, the words “apple” and “iphone” must be present in the content and no further than four words apart. Find the weather for a specific location. This is displayed in a weather snippet, but it also returns results from other “weather” websites. See stock information (i.e., price, etc.) for a specific ticker. Force Google to show map results for a locational search. Find information about a specific movie. Also finds movie showtimes if the movie is currently showing near you. Convert one unit to another. Works with currencies, weights, temperatures, etc. Find news results from a certain source in Google News. Not exactly a search operator, but acts as a wildcard for Google Autocomplete. Search for a range of numbers. In the example below, searches related to “WWDC videos” are returned for the years 2010–2014, but not for 2015 and beyond. Find pages that are being linked to with specific anchor text. For this example, any results with inbound links containing either “apple” or “iphone” in the anchor text will be returned. Similar to “inanchor,” but only results containing all of the specified words in the inbound anchor text will be returned. Find blog URLs under a specific domain. This was used in Google blog search, but I’ve found it does return some results in regular search. Find results from a given area. Not officially deprecated, but results are inconsistent. Find news from a certain location in Google News. Force an exact‐match search on a single word or phrase. You can do the same thing by using double quotes around your search. Find blog posts written by a specific author. This only worked in Google Blog search, not regular Google search. Google blog search was discontinued in 2011. Find blog posts with specific words in the title. No longer works, as this operator was unique to the discontinued Google blog search. Find information about a specific page, including the most recent cache, similar pages, etc. (Deprecated in 2017). Note: The id: operator can also be used—the results are identical. for pointing this one one! Find results from a certain date range. Uses the Julian date format, for some reason. Not officially deprecated, but doesn’t seem to work. Searches #hashtags. Introduced for Google+; now deprecated. Now let’s tackle a few ways to put these operators into action. My aim here is to show that you can achieve almost anything with Google advanced operators if you know how to use and combine them efficiently. So don’t be afraid to play around and deviate from the examples below. You might just discover something new. Google indexation errors exist for most sites. It could be that a page that should be indexed, isn’t. Or vice‐versa. Let’s use the site: operator to see how many pages Google has indexed for ahrefs.com. But how many of these pages are blog posts? I know Ahrefs blog inside out, so I know this is higher than the number of posts we have. OK, so it seems that a few odd pages are being indexed. Such pages should be removed from the SERPs by noindexing them. Let’s also narrow the search to subdomains and see what we find. Here, we’re using the wildcard (*) operator to find all subdomains belonging to the domain, combined with the exclusion operator (-) to exclude regular www results. Here’s a page residing on a subdomain that definitely shouldn’t be indexed. It gives a 404 error for a start. site:yourblog.com inurl:tag — find WordPress “tag” pages. HTTPs is a must these days, especially for ecommerce sites. But did you know that you can find unsecure pages with the site: operator? Let’s try it for asos.com. Oh my, ~2.47M unsecure pages. It looks like ASAS don’t currently use SSL—unbelievable for such a large site. ASOS is accessible at both the https and http versions. And we learned all that from a simple site: search! I’ve noticed that sometimes, when using this tactic, pages will be indexed without the https. But when you click‐through, you will be directed to the https version. So don’t assume that your pages are unsecure just because they appear as such in Google’s index. Always click a few of them to double‐check. With third‐party brand descriptions like this, they’re often duplicated on other sites. But first, I’m wondering how many times this copy appears on asos.com. Now I’m wondering if this copy is even unique to ASOS. That’s 15 other sites with this exact same copy—i.e., duplicate content. Sometimes duplicate content issues can arise from similar product pages, too. For example, similar or identical products with different quantity counts. You can see that—quantities aside—all of these product pages are the same. But duplicate content isn’t only a problem for ecommerce sites. If you have a blog, then people could be stealing and republishing your content without attribution. Let’s see if anyone has stolen and republished our list of SEO tips. from the results using the exclusion (-) operator—this ensures that the original doesn’t appear in the search results. I also excluded the word “pinterest.” This was because I saw a lot of Pinterest results for this search, which aren’t really relevant to what we’re looking for. I could have excluded just pinterest.com (-pinterest.com), but as Pinterest has many ccTLDs, this didn’t really help things. Excluding the word “pinterest” was the best way to clean up the results. Most of these are probably syndicated content. Still, it’s worth checking these out to make sure that they do link back to you. You will then see any pages (from our database of 900M+ pieces of content) with the same title as your page/post. In this instance, there are 5 results. This will highlight any sites that don’t link back to you. You can then reach out to those sites and request the addition of a source link. FYI, this filter actually looks for links on a domain‐level rather than a page‐level. It is, therefore, possible that the site could be linking to you from another page, rather than the page in question. Keeping track of everything on your website can be difficult. For this reason, it’s easy to forget about old files you may have uploaded. PDF files; Word documents; Powerpoint presentations; text files; etc. Let’s use the filetype: operator to check for these on ahrefs.com. operator—it does the same thing. I’ve never seen that piece of content before. Have you? But we can extend this further than just PDF files. By combining a few operators, it’s possible to return results for all supported file types at once. It’s important to delete or noindex these if you’d prefer people didn’t come across them. For those who haven’t seen this one before, it uncovers so‐called “write for us” pages in your niche—the pages many sites create when they’re actively seeking guest contributions. So let’s get more creative. You can search for many of these at once. You can even search for multiple footprints AND multiple keywords. Looking for opportunities in a specific country? Just add a site:.tld operator. This will find every site that person has written for. Don’t forget to exclude their site to keep the results clean! For this example, let’s use our very own Tim Soulo. BOOM. 17 results. All of which are probably guest posts. Basically, this searches for posts by Tim Soulo. But it also excludes posts from ahrefs.com and bloggerjet.com (Tim’s personal blog). Note. Sometimes you will find a few false positives in there. It depends on how common the persons name happens to be. You can also use Content Explorer to find sites in your niche that have never linked to you. This means marketingprofs.com has never linked to us. Now, this search doesn’t tell us whether or not they have a “write for us” page. But it doesn’t really matter. The truth is that most sites are usually happy to accept guest posts if you can offer them “quality” content. It would, therefore, definitely be worth reaching out and “pitching” such sites. You could add even more searches—e.g., “this is a guest article”—to the list of searches included within the parentheses. I kept this simple for demonstration purposes. “Resource” pages round‐up the best resources on a topic. All of those links you see = links to resources on other sites. But that can return a lot of junk. “resources,” and also a number between 5–15. Why not use the #..# operator instead of that long sequence of numbers. This operator doesn’t play nicely with most other operators. Nor does it seem to work a lot of the time anyway—it’s definitely hit and miss. So I recommend using a sequence of numbers separated by “OR” or the pipe (“|”) operator. It’s a bit of a hassle, but it works. Infographics get a bad rap. But infographics aren’t always bad. But who should you pitch your infographic to? Just any old sites in your niche? You should pitch to sites that are actually likely to want to feature your infographic. The best way to do this is to find sites that have featured infographics before. It can also be worth searching within a recent date range—e.g., the past 3 months. If a site featured an infographic two years ago, that doesn’t necessarily mean they still care about infographics. Whereas if a site featured an infographic in the past few months, chances are they still regularly feature them. But as the “daterange:” operator no longer seems to work, you’ll have to do this using the in‐built filter in Google search. But again, this can kick back some serious junk. This found ~2 results from the last 3 months. And 450+ all‐time results. Do this for a handful of infographics and you’ll have a good list of prospects. Not getting great results from Google? Try this. Have you ever noticed that when an infographic is embedded on a site, the site owner will usually include the word “infographic” in square brackets in the title tag? Unfortunately, Google search ignores square brackets (even if they’re in quotes). You can export these easily (with all associated metrics), too. Let’s assume you’ve found a site that you want a link from. It’s been manually vetted for relevance… and all looks good. This returned ~49 results—all of which were similar sites. In the example above, we’re looking for similar sites to Ahrefs’ blog—not Ahrefs as a whole. Let’s try our link building guide. I’m quite familiar with Yoast, so I know it’s a relevant site/prospect. But let’s assume that I know nothing about this site, how could I quickly vet this prospect? divide the second number by the first—if it’s above 0.5, it’s a good, relevant prospect; if it’s above 0.75, it’s a super‐relevant prospect. Let’s try this with yoast.com. So that’s 3,950 / 3,330 = ~0.84. Now let’s try the same for a site that I know to be irrelevant: greatist.com. IMPORTANT! This is a great way to quick eliminate highly‐irrelevant tactics, but it’s not foolproof—you will sometimes get strange or unenlightening results. I also want to stress that it’s certainly no replacement for manually checking a potential prospect’s website. You should ALWAYS thoroughly check a prospects site before reaching out to them. Failure to do that = SPAMMING. For example, let’s assume I was looking for more SEO‐related link prospects. I could enter ahrefs.com/blog into Site Explorer. Then check the Competing Domains. This will reveal domains competing for the same keywords. Got someone in mind that you want to reach out to? to know their name for this one. This is usually quite easy to find on most websites—it’s just the contact details that can be somewhat elusive. You can then contact them directly via social media. Or use some of the tips from steps #4 and #6 in this article to hunt down an email address. They help visitors to find their way around your site. And they also bring SEO benefits (when used wisely). But you need to make sure that you’re ONLY adding internal links where relevant. Let’s say that you just published a big list of SEO tips. Wouldn’t it be cool to add an internal link to that post from any other posts where you talk about SEO tips? It’s just that finding relevant places to add such links can be difficult—especially with big sites. Looks for a certain word or phrase in the text. Here’s a page that mentions a competitor of ours—Moz. Using site: and intext:, I can see that this site has mentioned us a couple of times before. But they haven’t written any posts dedicated to our toolset, as they have with Moz. Reach out, build a relationship, then perhaps they may write about Ahrefs. Because we’re using “allintitle” rather than “intitle,” this will match only results with both the word “review” and one of our competitors in the title tag. You can build relationships with these people and get them to review your product/service too. You can also use the “In title” search in Content Explorer to find competitor reviews. I tried this for Ahrefs and found 795 results. But you can go even further by highlighting unlinked mentions. This highlights the sites that have never linked to you before, so you can then prioritise them. You can see that it’s a Domain Rating (DR) 79 website, so it would be well worth getting a mention on this site. Google’s daterange: operator is now deprecated. But you can still add a time period filter to find recent competitor mentions. Just use the inbuilt filter. Looks like ~34 reviews of our competitors were published in the past month. Want alerts for competitor mentions in real‐time? Do this. Enter the name of your competitor… or any search query you like. Choose a mode (either “in title” or “everywhere”), add your blocked domains, then add a recipient. Set your internal to real‐time (or whatever interval you prefer). You will now receive an email whenever your competitors are mentioned online. Sponsored posts are paid‐for posts promoting your brand, product or service. These are NOT link building opportunities. This is why you should ALWAYS nofollow links in sponsored posts. But the true value of a sponsored post doesn’t come down to links anyway. It comes down to PR—i.e., getting your brand in front of the right people.
. There are almost certainly other footprints you can use to find such posts. Don’t be afraid to try other ideas. Want to know how much traffic each of these sites get? Do this. Use this Chrome bookmarklet to extract the Google search results. Now you have a list of the sites with the most traffic, which are usually the best opportunities. Forums and Q+A sites are great for promoting content. Promoting != spamming. Don’t join such sites just to add your links. Provide value and drop the occasional relevant link in there in the process. One site that comes to mind is Quora. Quora allow you to drop relevant links throughout your answers. an answer on Quora with a link to an SEO blog. It’s true that these links are nofollowed. But we’re not trying to build links here—this is about PR! Don’t limit yourself to Quora, though. This can be done with any forum or Q+A site. I also know that Warrior Forum has a search engine optimization category. Every thread in this category has “.com/search‐engine‐optimization/” in the URL. So I could refine my search even further with the inurl: operator. I’ve found that using search operators like this allows you to search forum threads with more granularity than most on‐site searches. You should now see relevant Quora threads sorted by estimated monthly organic traffic. Answering such threads can lead to a nice trickle of referral traffic. Most blogs reside in a subfolder or on a subdomain. This makes it easy to check how regularly competitors are publishing new content. Let’s try this for one of our competitors—SEMrush. Looks like they have ~4.5K blog posts. But this isn’t accurate. It includes multi‐language versions of the blog, which reside on subdomains. That’s more like it. ~2.2K blog posts. Now we know our competitor (SEMrush) has ~2.2K blog posts in total. Let’s see how many they published in the last month. Because the daterange: operator no longer works, we’ll instead use Google’s inbuilt filter. FYI, that’s ~4x faster than we publish new posts. And they have ~15X more posts than us in total. You can also use the site: operator combined with a search query to see how much content a competitor has published on a certain topic. What if you could also have them? Google’s link: operator was officially deprecated in 2017. But I’ve found that it does still return some results. When doing this, always make sure to exclude your competitors site using the “site” operator. If you don’t, you’ll also see their internal links. want to see even more links? Google’s data is heavily sampled. It likely isn’t too accurate either. Site Explorer can provide a much fuller picture of your competitor’s backlink profile. That’s a lot more than Google showed us. This is yet another instance where the time period filter can be useful. Filtering by the last month, I can see that Moz has gained 18K+ new backlinks. Pretty useful. But this also illustrates how inaccurate this data can be. Site Explorer picked up 35K+ links for this same period. Google advanced search operators are insanely powerful. But I have to admit that some are more useful than others, especially when it comes to SEO. I find myself using site:, intitle:, intext:, and inurl: on an almost daily basis. Yet I rarely use AROUND(X), allintitle:, and many of the other more obscure operators.